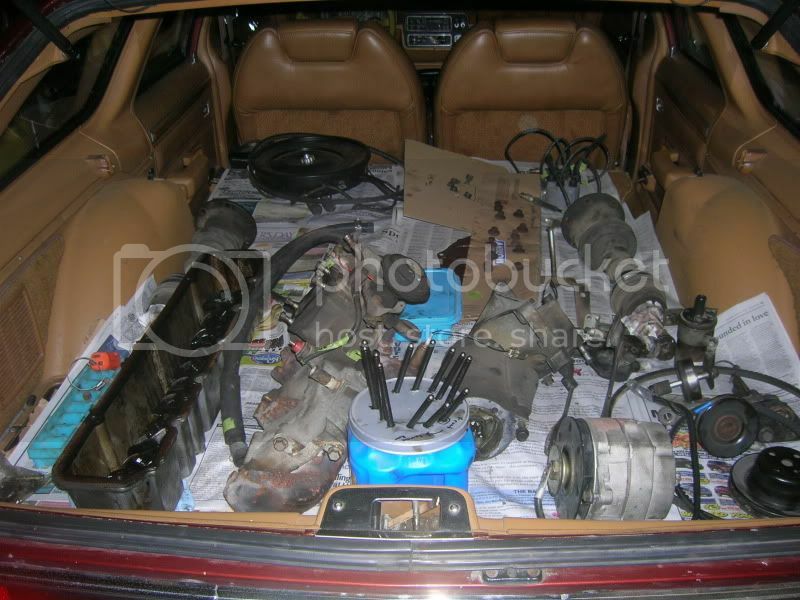 Just recently changed the motor out of my 87', and finally found some time to do a write up. 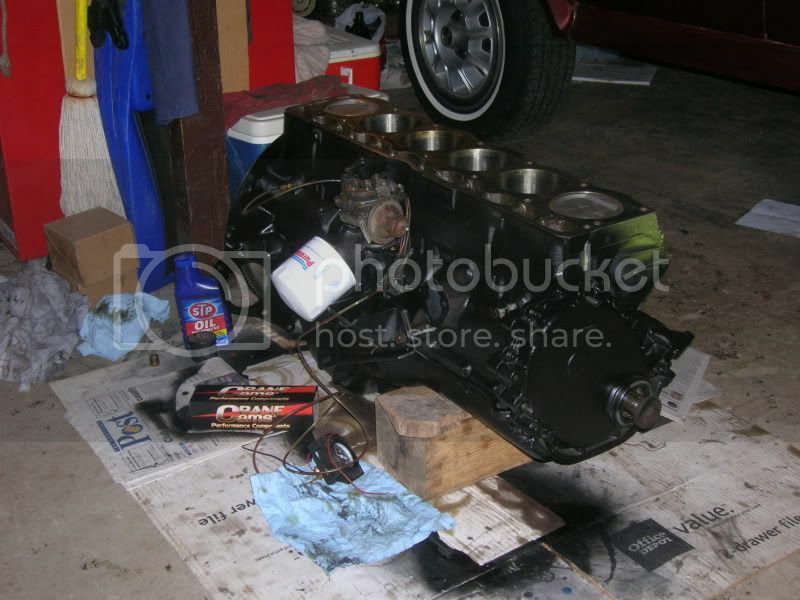 The motor didn't necessarily need replaced, but I did it because I had the time and a newly rebuilt engine to put in it. 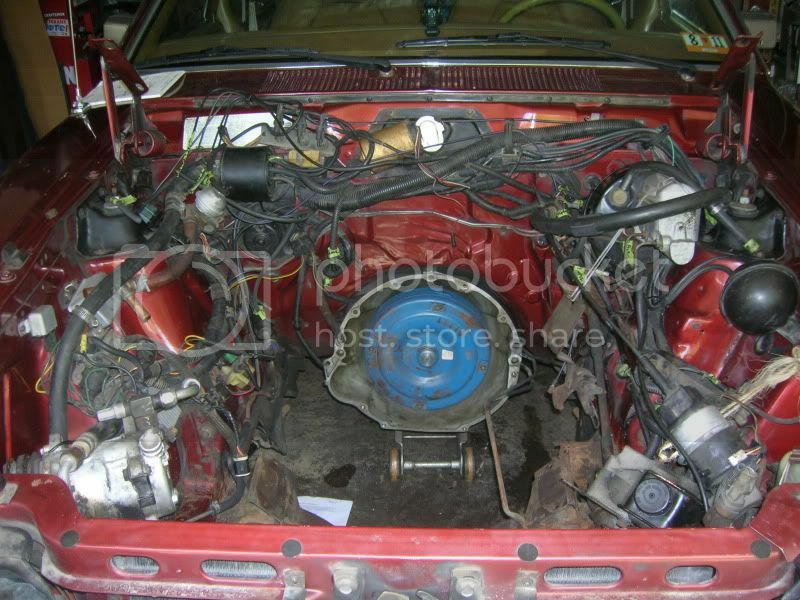 First I'll start on how I come across the new motor. I was at the local machine shop a while back (getting front wheel bearings pressed in I believe), and I was wondering how much they would charge me to do the machine work on my Eagle's 258 (Boring, crank grinding, head work, etc. ), and as we were walking through the shop, I saw what looked like a 258 setting there. Asked if it was for sale, man said that it belonged to a former employee that did all the machine work to it to put in his CJ-8 Scrambler Jeep, but died in a car crash. So he said he would sell it to me for the work they had in it, so how could I refuse. So I went home with new wheel bearing, and a 258 bored .030 over, crank ground .010 under, and a head with new valves and everything. The rest of the components were original/stock. Here are some pictures I took along the way. 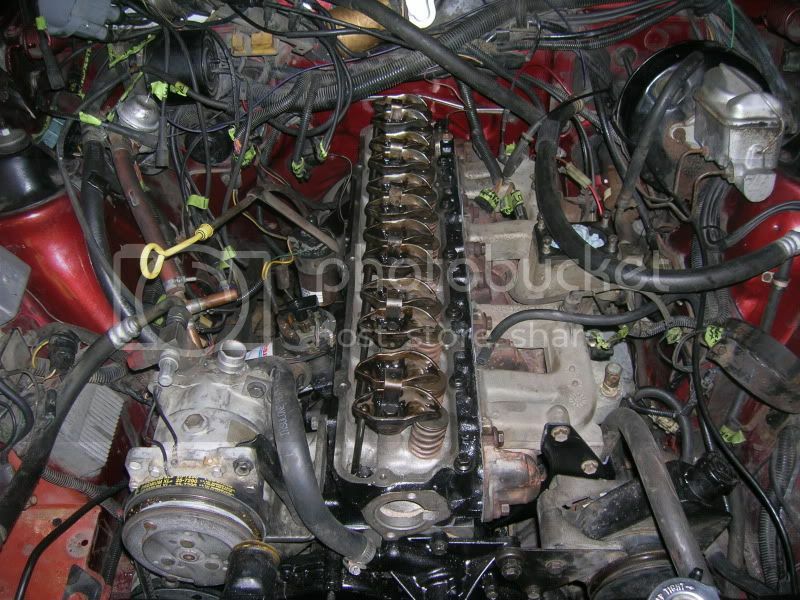 With valve cover, manifolds, and rockers off. 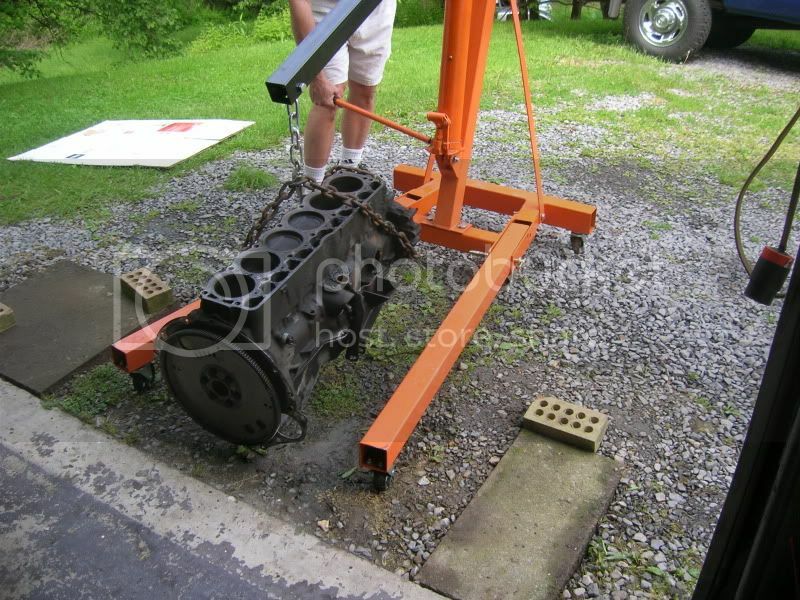 Old Engine out, had to borrow my friend's hoist. Let the transfer of parts begin. 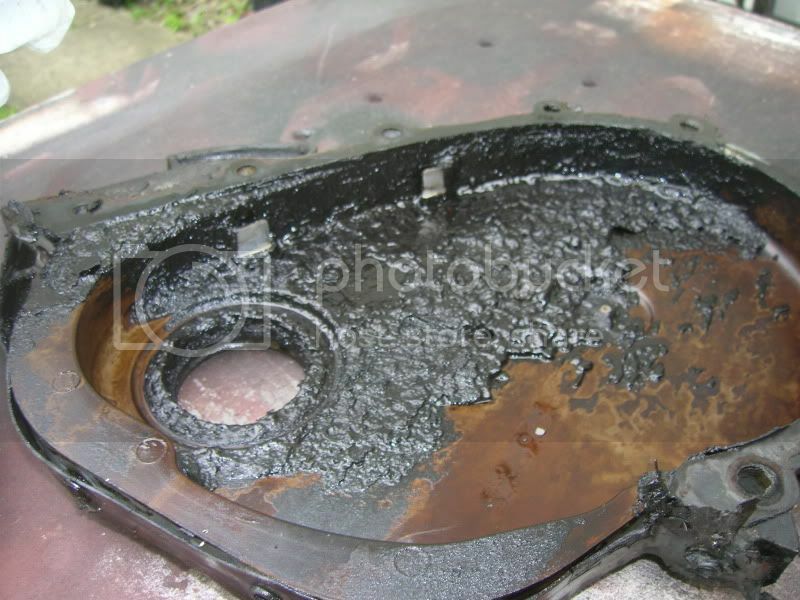 Oil pan removed, to reveal some SLUDGE. Even more SLUDGE under the timing cover. Engine bay cleaned up waiting for the new motor. New double roller timing set. Everything ready to set back in. After the short block was set in, the head was laid on. Valve Cover and Carb, and the rest was history. The whole process took about 3 weeks, but that included a few days waiting for parts. 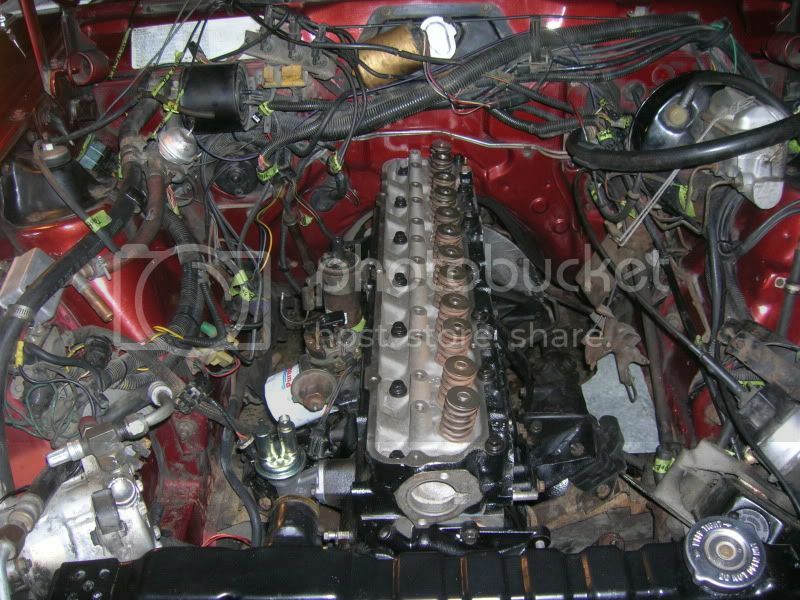 I thought I had all the parts I needed, until I went to put the head bolts in, and realized that AMC switched sizes, from '87 to 85' engine years. And the that 1/2" bolts from my Early 87' (Actually 86' date marked motor), would not fit into the 7/16" holes on the 85' head or block. After that was sorted out, everything went together smoothly, and the new motor fired up after the second crank. I first set the timing to the factory recommended 9 degrees, then went on a test drive after a 20 minute warm-up/break in period. It ran with a lot of hesitation, like late spark timing. So I rolled it up to 13 degrees advance to match the 4 degrees advance I had in the Cam timing, and then the motor came to life. Had more get-up then it ever did before. I ran Non-detergent oil for the first 500 miles to help break things in, and everything seems to be doing just fine. I am impressed with the performance the ISKY cam gave. I now have better throttle response, more power across the engine rpms, and most importantly better GAS MILEAGE. I'm not sure if there were several factors in gaining mileage, but I went from around 12-13 MPG to 17-18 MPG. And that's driving the same roads and driving habits I had before, so overall I can't complain at all. I am considering doing the Ford TFI cap/rotor and coil upgrade next time I need a cap and rotor, to see I can get any more out of the 258 (now 262). But that's for another day. Now to just enjoy what is pretty much a new Eagle (Drivetrain and Suspension wise). Beautiful job and great pictures! I like how you kept the pushrods organized in the coffee can, good idea. I was wondering how you labeled your connections though. A to A, B to B, or something more technical. 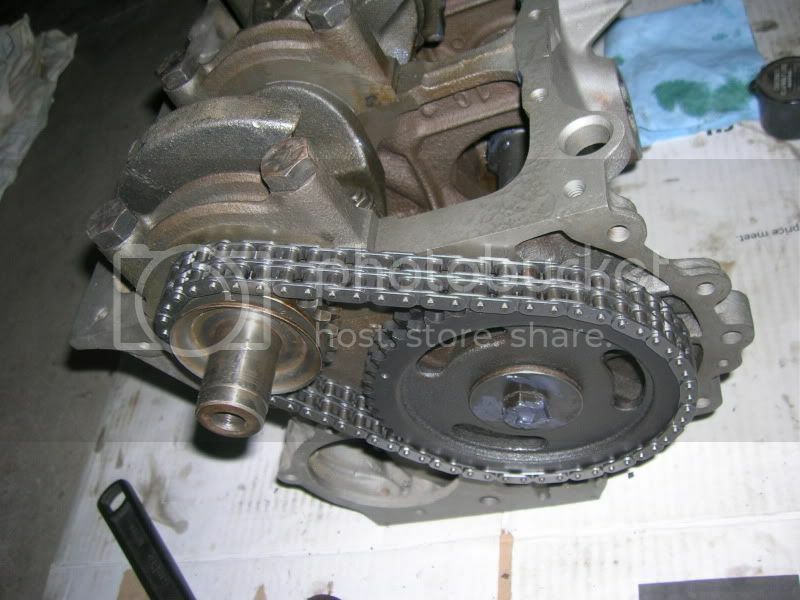 with the double roller timing chain set, did you need a bigger cover? Or does it all still fit under the standard one? For the labeling, I just pretty much labeled what things actually were. (i.e. ERG valve, Cruise Cont, etc., with some abbreviations). And for the double roller set, it fit right under the stock cover and uses the stock oil slinger. It's a little more noisy when idling with a slight clattery sound, but when the oil pressure rises above idle, it is quiet. 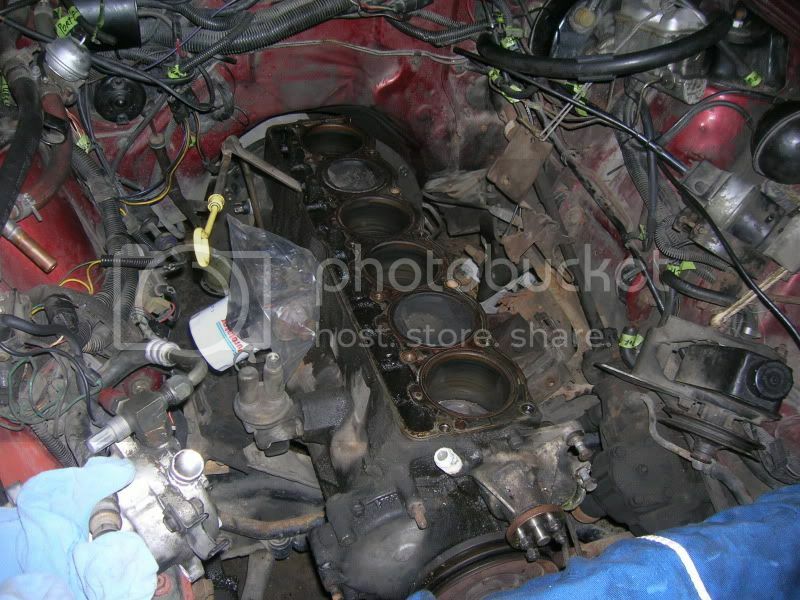 It definitely needed changed too, cause I heard a knocking during idle with the old motor, and suspected a main bearing. 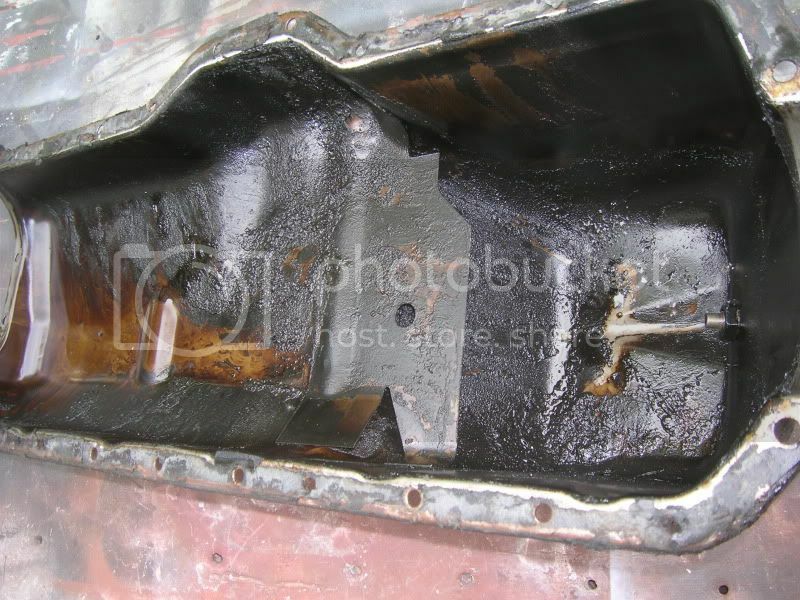 But you can see in the 7th picture down inside the timing cover where it was slacked out so far it was rubbing those raised notches that are used for alignment and whatnot. Nice job. Is there a reason you tore it down to a shortblock before removing and installed it as a shortblock? Just seems like a lot of extra back breaking work than taking it out as a long block and installling it as a long block. It's amazing how the right aftermarket cam wakes up the 258. There was no specific reason to tear it down to the short block. But I figured it would give me more clearance since I left the wire bundle and wiper motor in place, plus I had my Dad helping me for most of the swap, so hefting the head off and on wasn't too big of a chore. And yes I agree about the aftermarket Cams. I was going to use a Crane Cams RV type cam (.456/.484 lift) and (260/272 duration), but it was back ordered 6-8 weeks from Summit Racing, that's why I have Crane Lifters instead of ISKY. But I am impressed with the performance the ISKY cam gives, and I am getting way better mileage after the rebuilt. I have 120+ miles on my current tank of gas, and it is barely off of Full. Overall it has been like 17.5 MPG now . So I would highly recommend to anyone building up their 258 to upgrade the cam, but keep it reasonable with lifts under .500, unless it is staying off the street. Good to see that you got a good deal. Under sad circumstances though. I'm sure that a cam upgrade would do a world of good. From that I could find a stock 258 cam is TINY. What kind of lift cam the stock 258 heads support? I actually was going to use a Crane cam in my car, and they went out of business and I went with a Comp Cam, and I love it. Crane is back under new ownership, not sure how their new cams are, but I'd imagine still pretty good. A buddy of mine has a 5.0 Mustang with an ISKY cam and he has nothing but good things to say about it. I'm not sure what the coil bind is on the stock valve springs, but I would assume it is under .500. But many companies make high lift springs that can go well into the .500s. 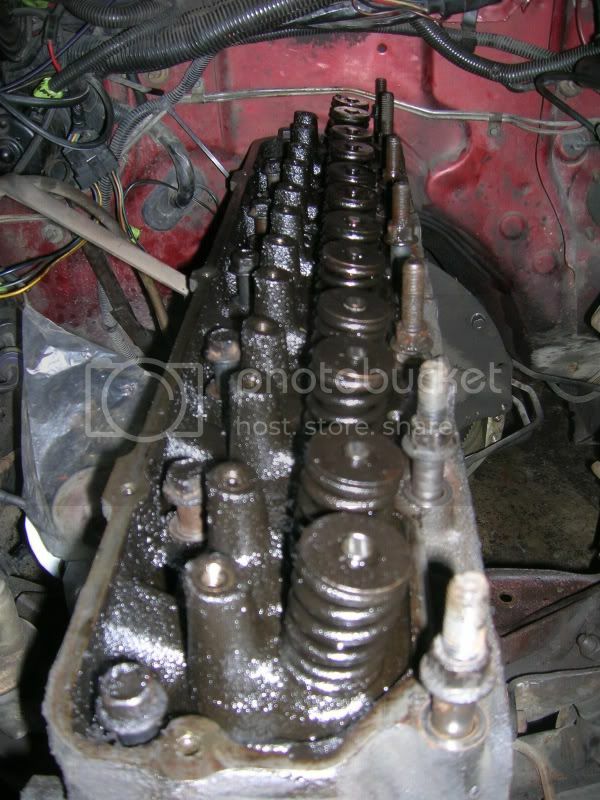 As for the rest of the valve train, a set of roller rockers might enhance the performance with a high lift cam. 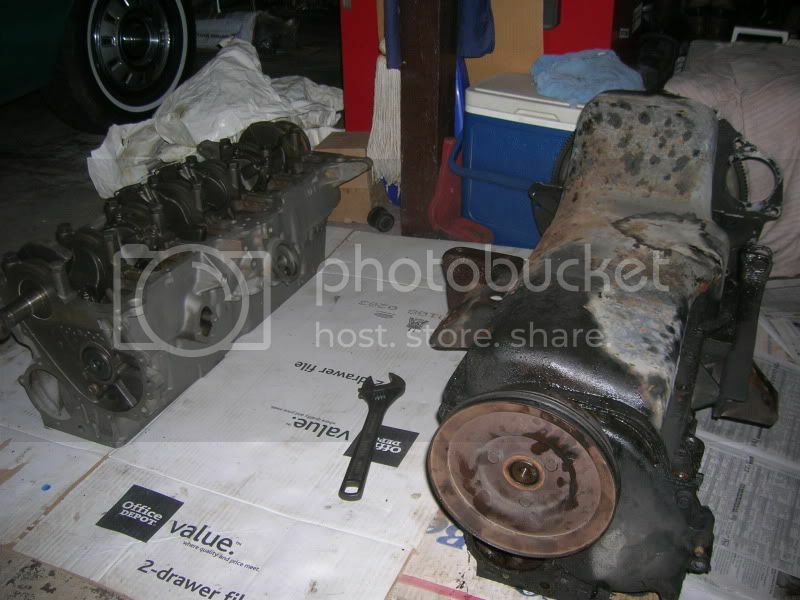 I was actually considering a set, until I saw the price was almost what I paid to the motor itself. But they are still an option if I find the money and an afternoon to put them in. Thanks for the compliments too. In the past I've always gone with Crane Cams, and used a Cam Dynamics and also a Clifford Cam once for my Mopar V-8s and Slant 6s. This is my first ISKY Cam, and so far I'm impressed with what it does to the 258. I know it's possible to go higher with aftermarket heads/springs. I've got a .540 lift cam in my car . I've also got Comp Cam's roller rockers, and that statement is 100% truth. SUPER expensive. I've heard the SummitRacing brand are actually pretty decent, for a LOT less money, if it's something you want to look into. 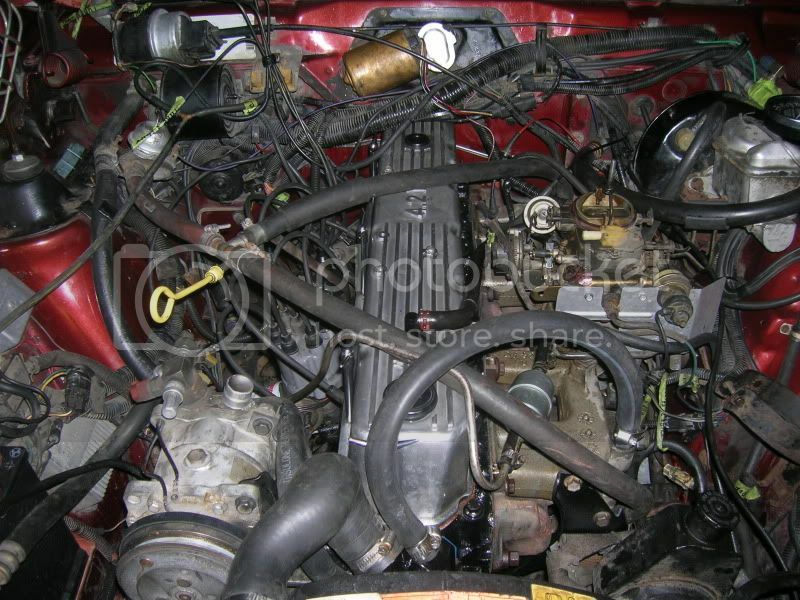 Tips for protecting engine during slow rebuild?